At the start of your opponent's Troublemaker Phase, they exhaust one of their Resources. 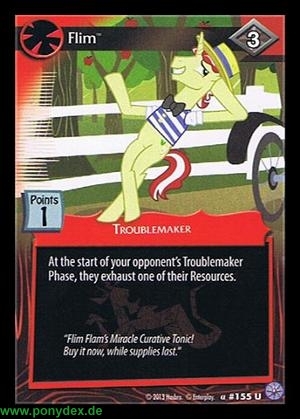 "Flim Flam's Miracle Curative Tonic! Buy it now, while supplies last."